Majestic Pitbull requires proper dog accessories, don't you think so? We offer you to set a stress on your dog's beauty with the help of our wide dog collar of genuine leather. Its vintage design with rust-looking massive plates will make your Pitbull or Staffy more gorgeous and will attract attention of all dog owners around. 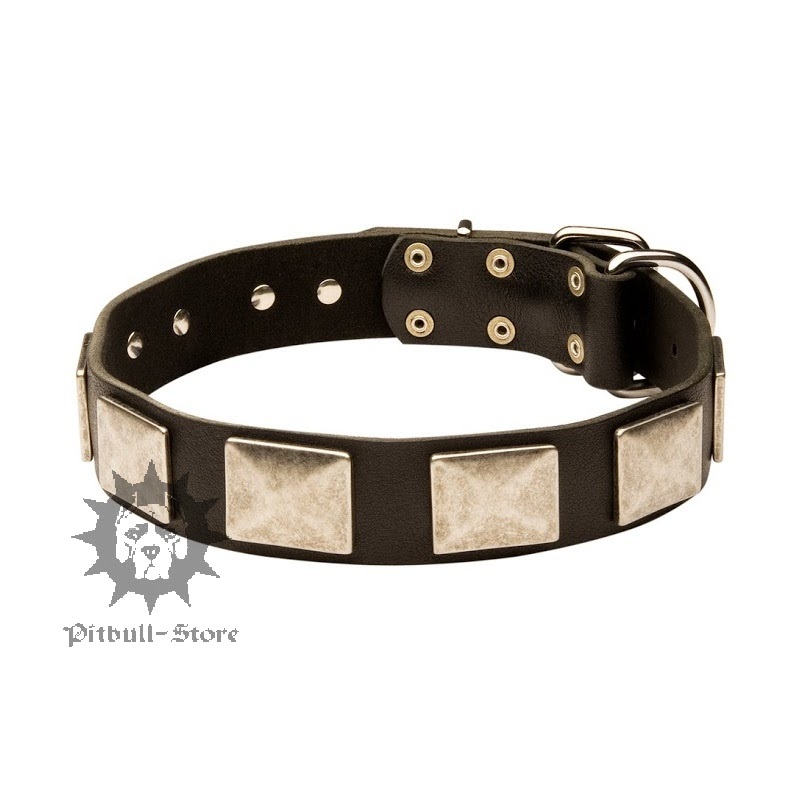 This wide dog collar is absolutely safe for your beloved pet. It contains no harmful or toxic elements. No wonder, it is real leather! 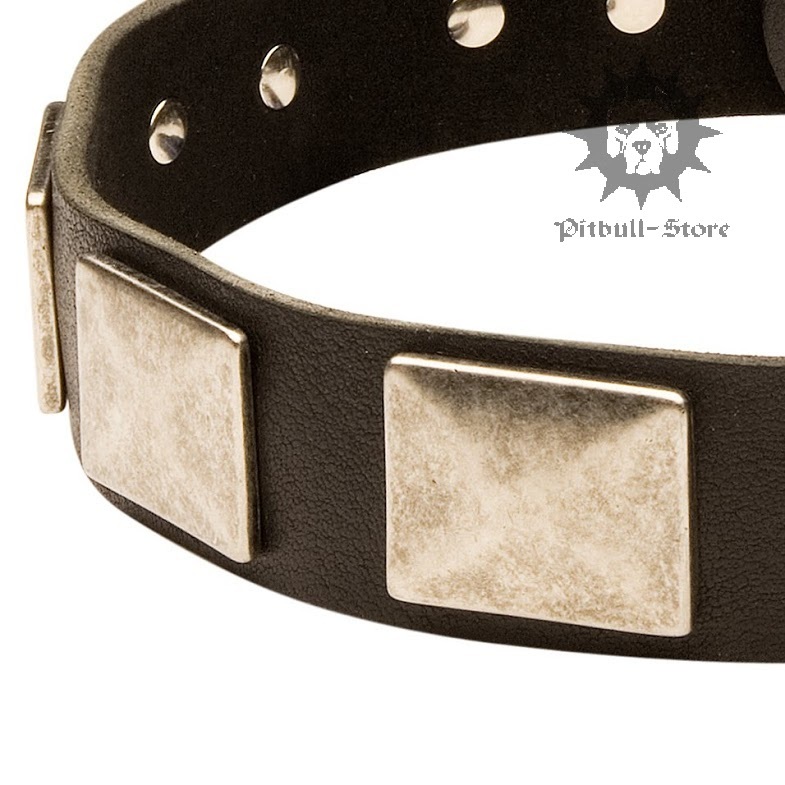 This soft leather dog collar won't rub your dog's skin, but it is reliable enough to control your vigorous pet even if it likes to pull hard or jerk. All metal elements are durable and non-corrosive. 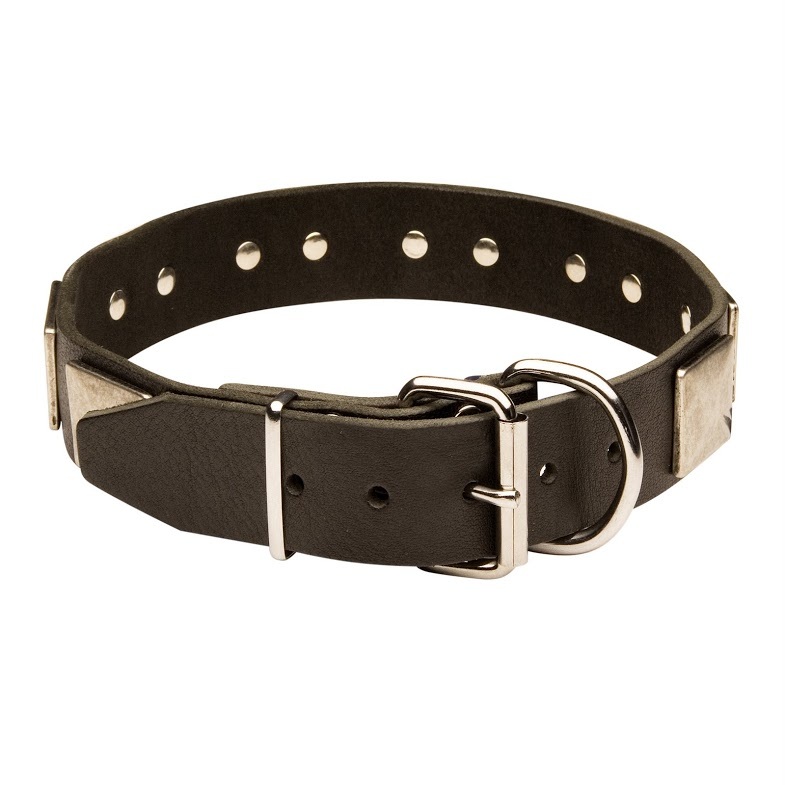 Large nickel plated decorations of this wide dog collar are riveted firmly by hands of our best craftsmen. Can't venture to buy online? 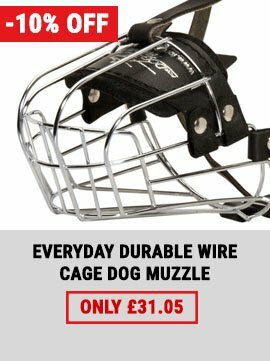 Are you afraid of getting a wrong dog accessory or low grade K9 equipment? Let us dispel your doubts. Our good name is the most important thing for our company. That's why we can't dare to send our customers imperfect goods. 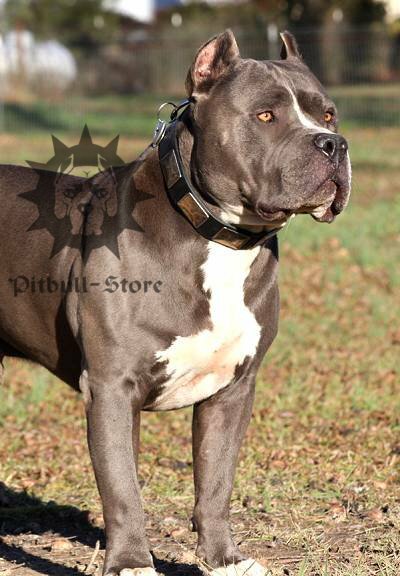 If you note any defects of this wide dog collar after opening your parcel, or the size doesn't fit your pet, please, let us know via e-mail info@pitbull-dog-breed-store.co.uk. Our customer support team will do their best to solve the problem in favour of you. 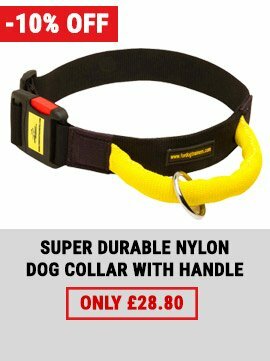 If you want this model of designer dog collars UK to serve your dog for a long time, lubricate it regularly with our leather care balsam. 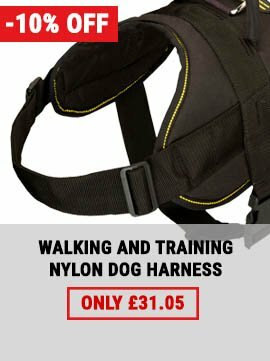 Choose a matching leather dog leash in our online dog shop.